Honda Motor will be the first manufacturer to launch a production hybrid scooter in the form of the PCX Hybrid on September 14, 2018. The Honda PCX petrol-electric hybrid will mark a major change in direction for two-wheelers across the globe. The Honda PCX 125 Hybrid scooter has been greenlighted for a Japan-only launch two months from now. It may subsequently be introduced in other international markets. 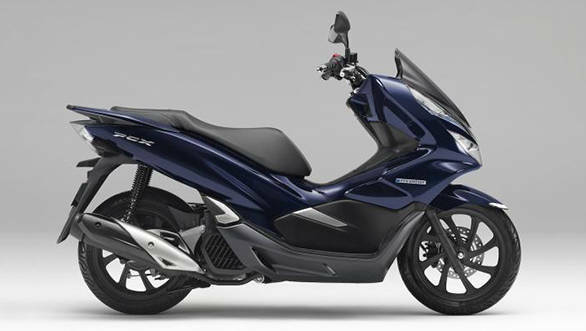 However, it remains to be seen if the Honda PCX 125 in its hybrid form will reach India. It should be noted that Honda Motorcycle and Scooter India (HMSI) had showcased the PCX Electric scooter at the 2018 Auto Expo, earlier this year. 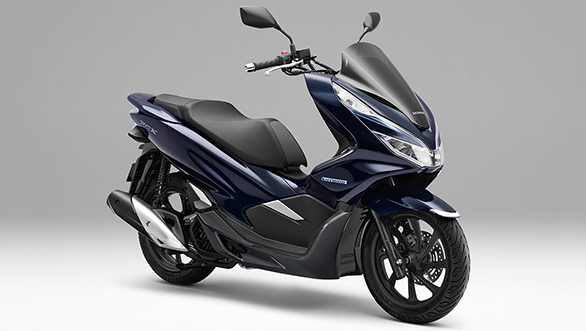 The Honda PCX 125 Hybrid comes powered the combination of a fuel-injected 125cc single cylinder petrol engine producing 12.1PS, and an electric motor producing 2PS, for a combined output of 14PS. The electric motor draws power from a 48-volt lithium battery, which activates it for up to 4 seconds when pulling away from standstill. This not only increases acceleration but also reduces the load on the petrol engine, thereby reducing fuel consumption and emissions. The PCX 125 Hybrid is about 5kg heavier than the standard PCX 125. It packs its battery pack under the seat with a power drive unit (PDU) in the front storage. Visually it follows the same design as the Honda PCX 150 and also looks to have the same all-LED light setup. Honda will do an initial production run of 2,000 units with each scooter priced at 4,32,000 yen (Rs 2.67 lakh approximately).